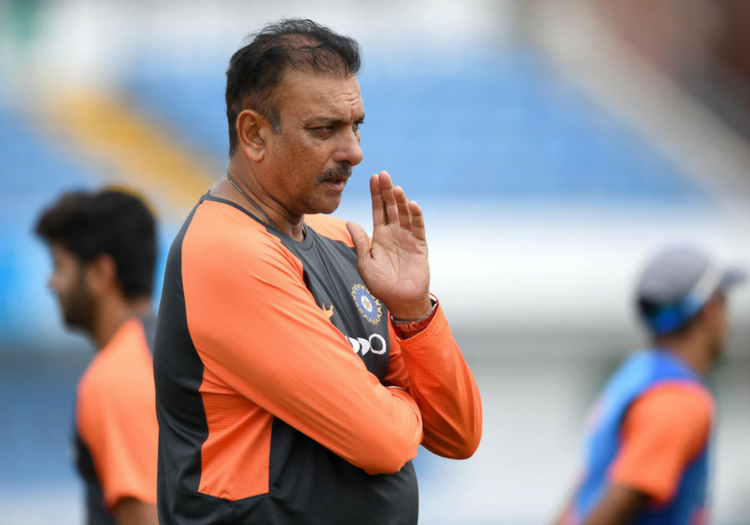 Ravi Shastri has nonsensed suggestions that India asked for their game against Essex to be truncated due to concerns about the pitch at Chelmsford. The warm-up match was reduced from four days to three on Tuesday, at the request of the BCCI, with an Essex statement saying the forecast hot temperatures were a driving factor. A report in the Times of India, however, suggested that the tourists were unhappy with the baked outfield and green-ish track. Speaking to the BCCI's official website, however, head coach Shastri said: "The pitch? It is good. The groundsman asked me there was enough grass on, do you want the grass to be taken off? I said absolutely not. It is your prerogative. "What you give us, we play. I said leave it. There was grass there, so don’t take anything off. "Our challenge is to beat the opposition. We take pride in performing wherever we go. We want to be the best travelling side in the word. So the last person who will make a complaint will be this Indian team." India were given a stern test early on at Chelmsford, with Shikhar Dhawan and Cheteshwar Pujara both losing their wickets cheaply. The tourists faltered to 141 for five before Virat Kohli and KL Rahul steadied the ship with half-centuries. The first Test between England and India is due to get under way at Edgbaston on August 1.